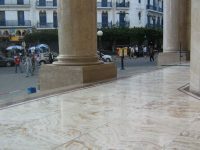 High quality stone work deserves to be protected with high quality stone sealers! We appreciate the investment you have made and therefore seek to provide you the very best products to ensure that investment is finished to the standard you expect and protected so it stays that way for many years. 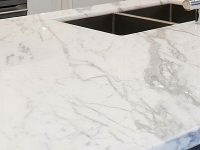 In the last 10 years there has been a surge in the popularity of natural stone, manufactured stone and concrete bench tops. They add style and elegance to surfaces that are primarily functional in nature. We use these surfaces for all kinds of things but mostly for food preparation. As such they must be able to cope with the rigours of day to day use. They must be strong and durable, they must be easy to keep clean and most importantly they must be safe for food preparation. 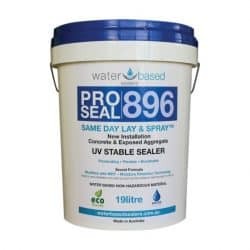 Pro Seal 898 – When applied correctly the sealer will penetrate deep into the surface and create an impregnating acrylic co-polymer matrix seal that will last for the life of the bench top. In high wear areas Pro Seal 898 can be easily and seamlessly reapplied every few years to replenish the surface film and prolong the service life of your bench top. Pro Seal 898 will subtly enhance colour and can be buffed to achieve a high gloss finish. ProtectGuard MG Eco is a natural finish fluorinated co-polymer sealer. 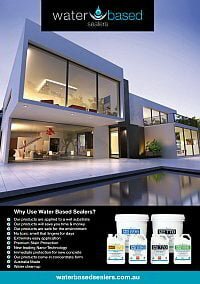 It penetrates into dense surfaces and repels water,oils and stains at the molecular level. It complies with CE no 10 / 2011 for safe food contact, so you know you can safely use it in your kitchen. Provides effective protection for more than 10 years. Many other stone sealers claim to be safe for food once cured, but are release toxic substances when first applied. Even if the cured seal is certified safe, the toxins released during application and curing have permeated through your home. 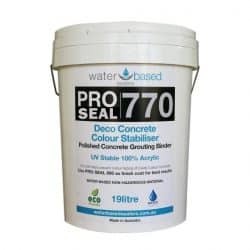 Pro Seal 898 & ProtectGuard MG Eco are both water based products which are completely safe & eco-friendly sealers that contain no hazardous materials in the container, or at any stage through application, or at any time through the life of your bench top. 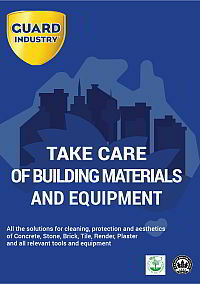 That’s why Pro Seal 898 & ProtectGuard MG Eco are the wise choice for you, your family and the environment. 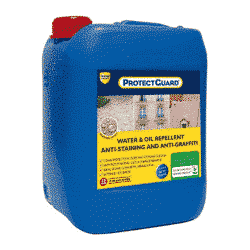 Both Pro Seal 898 & Protect Guard MG Eco can also be used on floors. The safe health benefits that apply to bench tops also apply to indoor floors. For a long lasting wet look, colour enhancing sealer consider ProtectGuard WF Premium®. 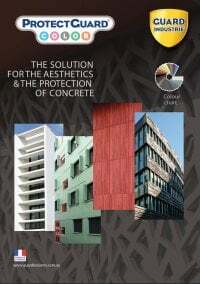 It is any alcohol based penetrating sealer with penetrates deep into the stone and produces a colour enhancement equivalent to a wet stone surface. 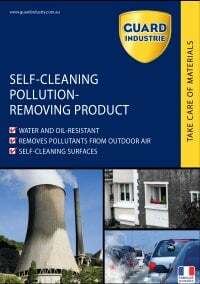 Although it is a solvent based product it still achieves an A+ indoor air emissions. 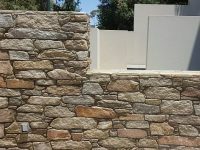 All the above mentioned products can be used for feature stone. Use ProtectGuard MG Eco for a completely natural finish, use ProSeal 898 for subtle colour enhancement and a satin sheen, or use ProtectGuard WF Premium for intense colour enhancing.